Cloud APIs can greatly ease many cloud computing processes; however, they can also expose your critical data and applications to threats. Insecure interfaces and APIs have been listed as one of the top security threats to cloud computing. So what can you do to keep these APIs secure? 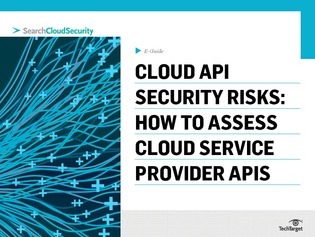 This expert guide from SearchCloudSecurity.com takes an in-depth look at API security, answering critical questions and providing helpful tips for securing your cloud APIs.